Jungle Book: Origins – the directorial debut of motion-capture guru Andy Serkis – is in the midst of an increasingly lengthy journey to the big screen. The Warner Bros. project was recently shifted to an October 2018 release window – allowing for an increased post-production period – and now, in news that has created something of a stir for both good reasons and bad, it is reported that the studio has invited Academy Award winning director, Alfonso Cuaron, to weigh in on the finishing processes. It makes a lot of sense for the studio to take this step. 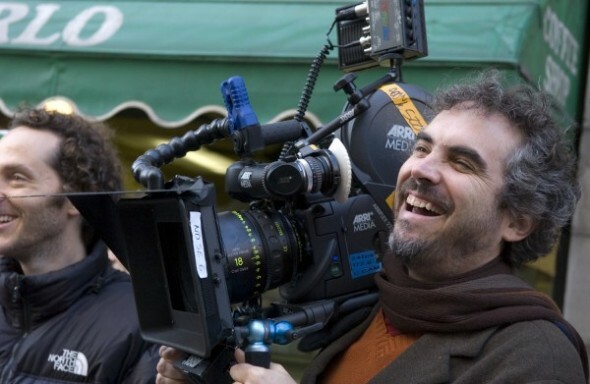 Alfonso Cuaron won his Oscar for 2013’s Gravity – a film he spent more than five years crafting, because it required the development of new technologies. Andy Serkis is, himself, at the forefront of technological advancements in filmmaking, with his London-based Imaginarium Studios becoming a world leader in performance capture for film and video games. Serkis and his team have provided these services for most of the high-profile ‘mo-cap’ projects in recent years – including the Planet Of The Apes franchise, Avengers: Age Of Ultron and Star Wars: The Force Awakens. For these reasons, any collaboration between Serkis and Cuaron is an exciting prospect. Jungle Book: Origins is the first time Andy Serkis has actually directed an entire movie himself, though, and it also marks the screenwriting debut of scribe Callie Kloves – which puts a lot of relative inexperience at the helm of a big-budget studio movie. In addition, while in production, the film was in competition with the Disney live action-CG film The Jungle Book, directed by Jon Favreau. That film was first across the finish line, and is currently dominating the worldwide box office in such a way that a sequel is already in the works. For its part, Warner Bros. has now delayed the release of Jungle Book: Origins three times – moving it from 2016 to October 2017, and again to October 2018. This most recent delay, coupled with the news of Alfonso Cuaron being drafted in to consult and give notes has been cause for concern from some fans, worried that it signals problems with the finished product. Many more welcome the news, however, suggesting that what we will eventually see will indeed be groundbreaking – having benefitted from those additional years of invention and enterprise. With Alfonso Cuaron advising from the sidelines, this could well be revealed to be something very special indeed.